This time Ryan and I review a couple of games. First up is Freshwater Fly, the newest game from Brian Suhre and Bellwether Games. It’s a light eurostyle game with excellent art and production. The Drift and Hatch mechanics are cool and do a good job of mimicking aspects of fly fishing. Then Ryan talks about an older game, OmNomNom. 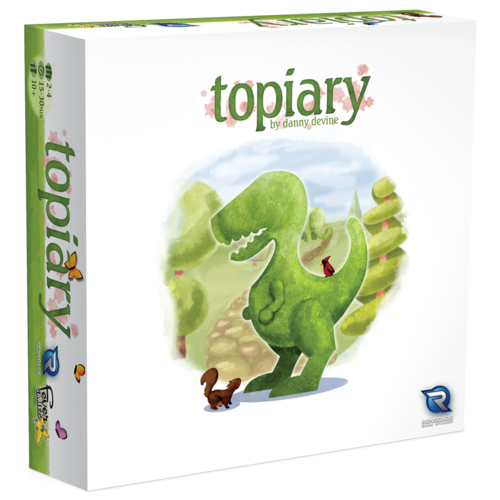 Ryan and family enjoyed this and thinks it is a good gameschooling game. Then he has quick mentions of Sushi Roll and Sundae Split. You can check out the Freshwater Fly kickstarter in the link below. The campaign ends April 26. We hope you enjoy the show. You can find lots more interesting gaming content at The Inquisitive Meeple, our brother site. Chris Rossetti of Rampage Games joins us to talk about their newest game, 11:59. Hey, listeners! Welcome. This time Ryan and I give you our thoughts on four games – Dig It Up, 11:59, Space Princess, and Brace For Impact. These are some pretty cool games and we hope you enjoy listening to what we think about them. We have Daniel Grek of Concrete Canoe Games with us in this episode. Daniel has some new games in the F.L.O.A.T. series so we talk about them. And some of his other games. Like Dirigible Disaster! We had a fun time and hope you will too. You can find lots more interesting gaming content in our Archives and at The Inquisitive Meeple, our brother site. John Mietling of Portal Dragons Games joins us to talk about their games – Palm Island, Pick The Lock, Zephyr: Winds of Change, and their newest, Planetoid. We also talk about unique boards, unique game mechanisms, and unique families. This is a cool show and we know you will find it interesting. You can find Portal Dragon Games here. The Planetoid KS is here. 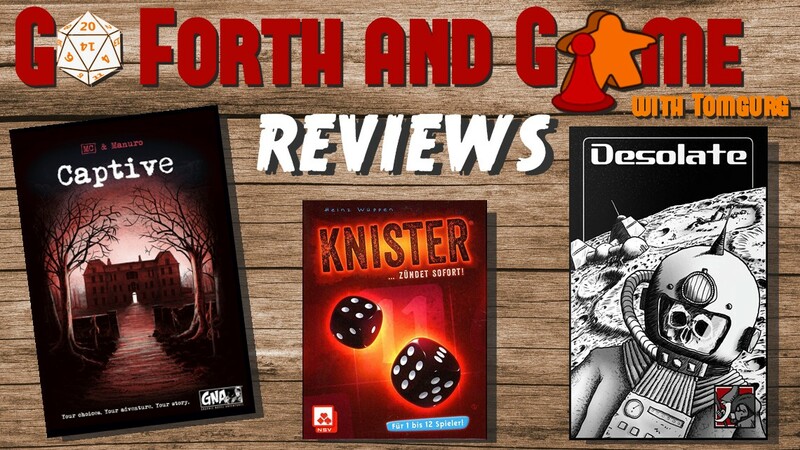 In this show we give out thoughts about two games – Gartenbau by Fisher Heaton Games and A Note For Murder by Puzzling Pixel Games. We hope you enjoy the show. You can find Gartenbau info here. You can find A Note For Murder info here. intro and outro music for The Go Forth And Game Podcast is Myocardial Infarction by Peter Gresser. It is in public domain and we appreciate being able to use it. In this episode Ryan and I review four game from Korean publisher, Mandoo Games. We have a lot to say about these games and we think you will find it interesting. In this show we are happy to welcome Bob & Ryan Craig, the brothers behind One Day West Games. Ryan and I talk about two games – Ocean Crisis from Shepard Kit Games and Palm Island from Portal Island. We like both of these games and give you the details about their game play. You’ll get our pros and cons and what we think about them. Our guests this time are Benny Sperling and Odin Phong. 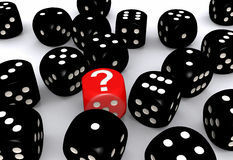 These guys are experts our topic this time – roll and write games. We talk about our thoughts on the current roll and write renaissance, some recommended roll and write games, and some things they are both working on in the area of roll and write games. It’s a fun show but be aware that there are some technical issues now and then. They don’t detract from the enjoyment of the show. It’s a fun, informative episode. This episode finished up my conversation with Nat as we continue discussion his designs. In this long delayed episode I talk to game designer Nat Levan. You will know Nat from his games New Bedford, Rocky Road: Dice Cream, and Supertall. I hope you enjoy Part 1 and will return for Part 2 soon. In this episode Ryan and I talk about a bunch of games you can purchase for $20 and less. 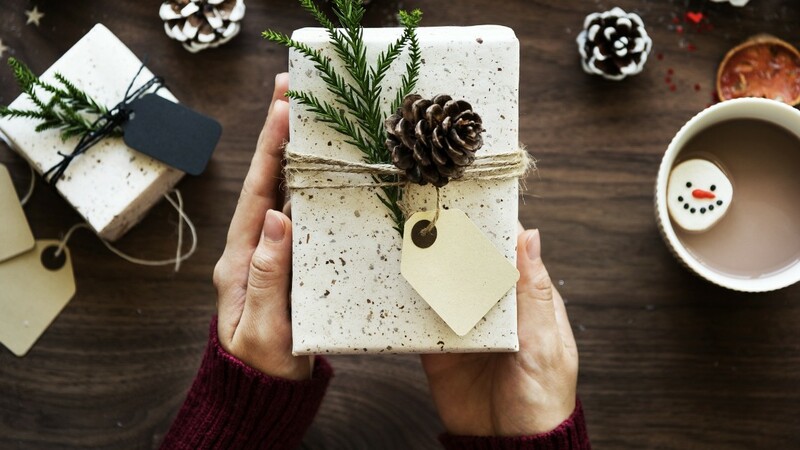 With the holidays upon us, any of these games would make fantastic presents for friends, co-workers, and family. 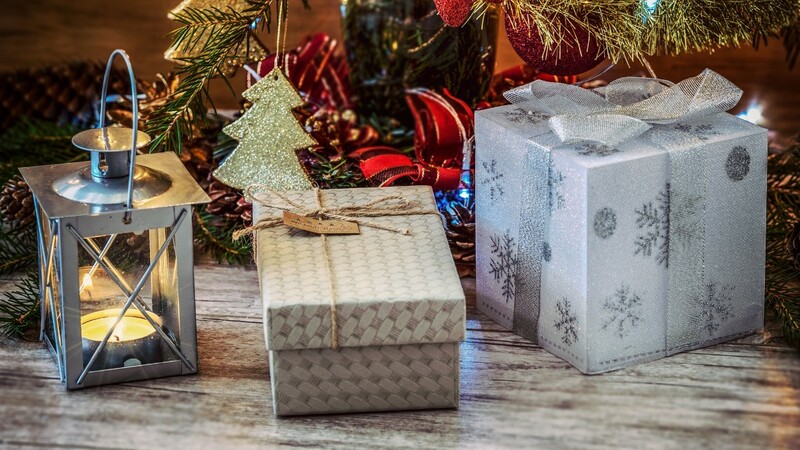 They are excellent stocking stuffers or party gifts. You’ll find a list of the games we discussed below. We hope you enjoy the podcast and find this list helpful. Stay tuned for part 2. 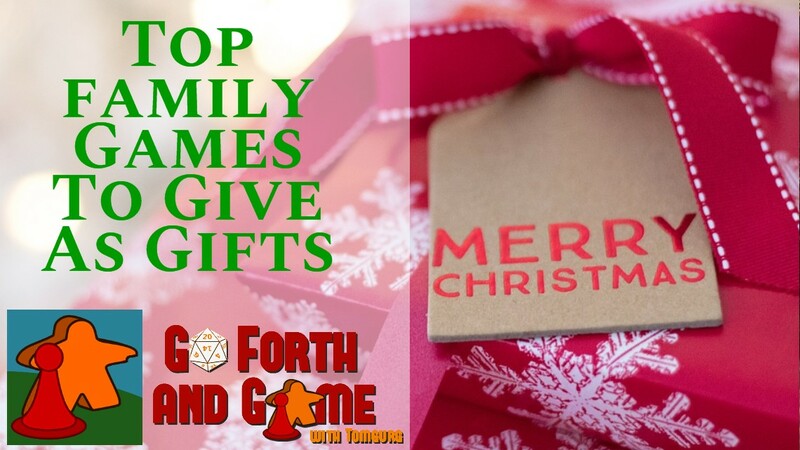 As always you can leave comments at goforthandgame@gmail.com or @tomgurg. A little on the late side since October has passed but I like the topic so in this episode of The Most Dangerous Games I talk to Chris Kirkman, dicehateme himself. I thought Chris would be a great person to discuss horror themes in gaming. We talk about what makes a game scary, how do to get tension in a game, and mention some games that fit into this category. It was fun and I hope you enjoy it. This is an recent interview with Charlie Hoopes. It is a very interesting interview and Charlie has some unexpected things to say. He is candid and there are some cool ideas expressed that I hadn’t thought of. Enjoy. Tom: Welcome Charlie. Tell us about your gaming self. Charlie: Today, it is just my twitter handle. 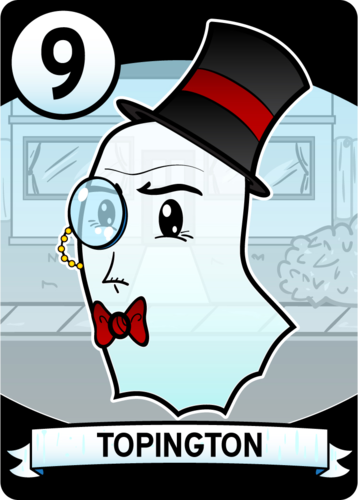 Originally, HoopCAT Games was the name for the publishing company my wife and I wanted to run. I started as that new and idealistic designer who thought he could be both designer and publisher. We did manage to self-publish my very first title, a family game called Fill the Barn. While there were several excellent reviews, I quickly learned it takes so much more than a fun design and great reviews to succeed in a market overcrowded with strong games. While self-publishing your first game takes a lot of work, that one game can be your sole focus. Self-publishing your second game (and beyond) becomes far more challenging. Your time is now split between designing new games while also handling the promotion,distribution, warehousing, sales, accounting etc. for the game(s) you’ve already released. I have seen a few self-publishers (e.g. Gil Hova) who can succeed at both – I admire their energy and ability. I quickly realized my games would fare better if I stuck to the design and left the publishing to others far more experienced and skilled in the everything it takes to make a game successful both during and after publication. Tom: I sensed that you had decided this but wasn’t sure. Recognizing your strengths and inexperiences and the mountains facing an endeavor is important. Being able to choose the right path in light of those is wisdom and discernment. Bravo! to you for that. Refocusing on what you love is awesome. I’ve been following Firebreak for a while now. I’ve even played the PNP and it’s a good game. You’ve been very open with its development. And it seems you have good news on it. First, tell us about the game then the news. 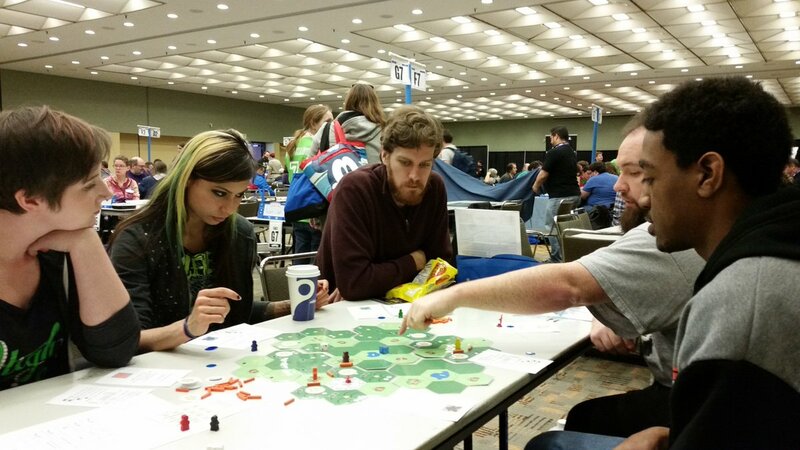 Charlie: Firebreak is a cooperative wildfire control game for 1-5 players ages 10 and up that plays in under an hour. Every turn you and your team can do various things to control or extinguish the flames such as dig firebreaks, fly a tanker plane, or pump water from a lake. But at the end of the turn, the wind direction may change, and then the flames spread with the wind to any space you have not protected. Make it two turns without any spreads and you win, but run out of blaze markers and you lose. Despite an enthusiastic loyal Unpub following, it took some time to find a publisher. Until Origins this past June. Not only did I find a publisher, I found a publisher who shares the same enthusiasm as the Unpub playtesters! While they’ve given me permission to disclose the publisher, I’d rather wait and let them announce when they think the time is best. So I will give a hint to any who are interested. This publisher has quickly been gaining a reputation for excellent art with a 1940’s-1960’s feel on every title in their growing product line. Tom: What was the most difficult part about designing Firebreak? Charlie: With competitive games, the other players provide the challenge. With a cooperative game, that challenge must come from the game itself. I found the most difficult part was adjusting the balance to make sure it was never too easy, never too hard, just right every time. Tom: You have signed Land of Oz and Sweet Success. Congrats!!!! Tell us about each and who picked them up. Charlie: Sweet Success is a bakery-themed path building game that will be published by Mayday Games. Players are placing ingredients to build paths between different destinations, and you are allowed to pick up ingredients placed by other players to complete your paths. Completing a path can also block players from building paths through a location for the rest of the game, so paths become longer and more windy as the game goes on. Sweet Success started as an abstract that some Unpubbers may have playtested under its original name of Attatat. Tom: I really like that mechanism. I can’t wait to see it in action. How did you come up with it? Charlie: The original idea was players would be building temporary bridges between islands, and as soon as somebody drove a truck over a bridge to make a delivery, that bridge would become unsafe and unusable. I quickly dropped the theme because it just wasn’t quite working, yet loved the mechanic of building temporary paths that other players could use and destroy. So the “Bridge Out” game very quickly morphed into an abstract – which made things easier because I didn’t have to explain thematically why something happened. So when Mayday told me they would sign the game but it would need a theme, I had to reverse the whole process. Finding a theme where players would build paths was easy. Finding a theme to explain why players would then destroy those paths and also make points inaccessible – that was far more challenging. Daniel Peterson (Mayday’s lead developer) and I brainstormed and tried a few different things before the final theme of collecting ingredients along bakery delivery routes. 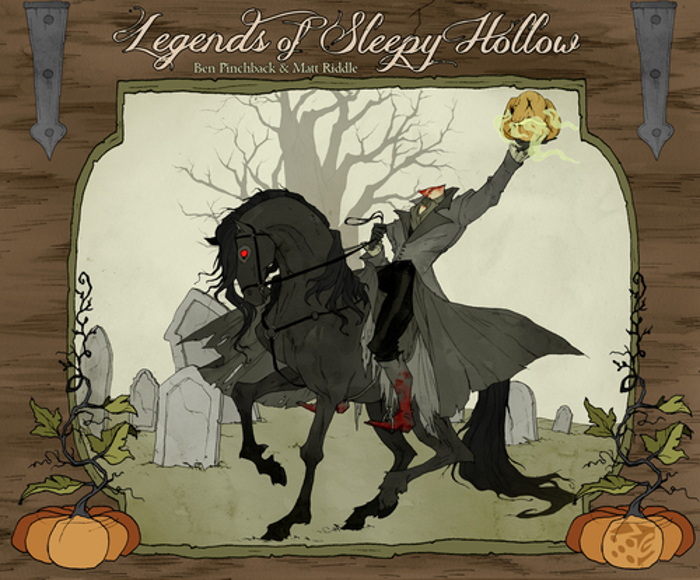 Lands of Oz is a suit maximization card game that will be published by Escape Velocity Games. The wicked witches are both gone, and now you are trying to attract as many of the heroes to your corner of Oz by playing the most of their suit – i.e. collecting the most hearts will bring Tinman to your land, while collecting the most diplomas will attract Scarecrow. Lands of Oz is easily the most child-friendly game I have made. While playtesting under an earlier theme as Lady of the Diamonds at Unpub5, there were children as young as 5 at my table who nailed this game. Yet still enjoyable by adults looking for a light quick game. Tom: glad to see someone designing for children. I think they are worth designing for and I need to remember this. Thank you for reminding me. What is your favorite game / mechanism and why? Charlie: I like them all, and try hard not to use the same primary mechanic twice from design to design. One that I have not (yet) put into a design is worker placement. Most of the worker placement games I have played tend to be heavier euros. I would love to design a lighter casual game (an hour or less) that features worker placement. Tom: I have the same goal. I’m hoping the newest one I have just started working on will satisfy that itch. Charlie: If you succeed, I will buy it. Tom: What mechanism can you just not get to work like you want it to? Charlie: My biggest problem has never been getting a mechanism to work. The randomly changing wind direction at the core of Firebreak has been there with little change since the first public playtest. Likewise, despite several theme changes from the original abstract Attatat to its final Mayday version of Sweet Success, the primary mechanism of path building where you can score and remove paths placed by another player has been unchanged throughout that game’s development. Where I sometimes struggle is fitting the right game around mechanisms that playtesters love. 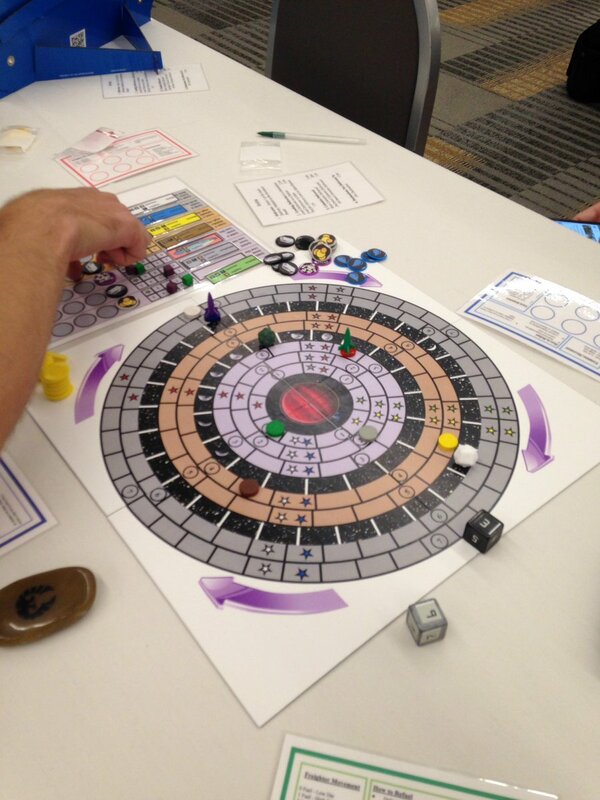 For example, with my unsigned prototype Miner Rings (a 2016 Cardboard Edison finalist as Planet Movers), play testers have always loved the moveable destinations, shared dice rolls, and limited fuel. My journey with this design has been finding the right game to fit around those core mechanics. It started as an exploration race, then a challenge to complete the most lucrative delivery contracts. The version that was a hit at Unpub8 is now a much more flexible pick-up-and–deliver with an area control feel going on that reminds me of World’s Fair. Tom: How do you recover from disappointment, be it a bad playtest or a rejection from a publisher? Charlie: Public play testing. For me, watching others enjoy while playing one of my prototypes is the best cure to a disappointment. That is what gives me the encouragement to keep pressing forward with a design. Tom: That is a great and unexpected answer! Thank you for reminding all of us that this is a very good way to get the negative out of your head. What advice from a fellow game designer or playtester has been the most valuable? Charlie: I hate to give a weak answer on this one, because over the years I have received SO MUCH GREAT advice from designers and publishers both, that I’m not sure there is just one or two or three I can pick out. Ask me the advisors I find myself going back to, and I will name Ian Zang, Luke Peterschmidt, Randy Hoyt, and Daniel Peterson at the top of my valued advisor lists. Yet there are so many more beyond those four. The board game design community is extremely friendly. Public playtesting and conventions are not just about all important feedback on your prototype. It is about ever widening your network of advisors. Tom: This is a super fantastic point. That network is invaluable for testing, reviewing rules, but I think most importantly for encouragement. Charlie: I also have to give a shout out to my friend Jeff, who has given me over 200 playtests of Firebreak over the years. His playtests were extremely valuable in helping me to get the balance just right in that co-op. Tom: How do you deal with design block? Charlie: If I get stuck on one design, I will set it aside and work on another. Tom: Yep. That seems to be how most of us deal with it. How do you define ‘replayability’ relating to games? Charlie: I enjoy games that are never exactly the same from game to game, where there is always a new or different wrinkle. I like games that have different boards every game, or give players different starting positions or different starting resources every game. To me, replayability increases when there is a slightly different challenge every game that must be overcome in order to win. Tom: What game do you wish you had designed? Wow. Playtesting with Matt Leacock! Charlie: I have no answer to this. 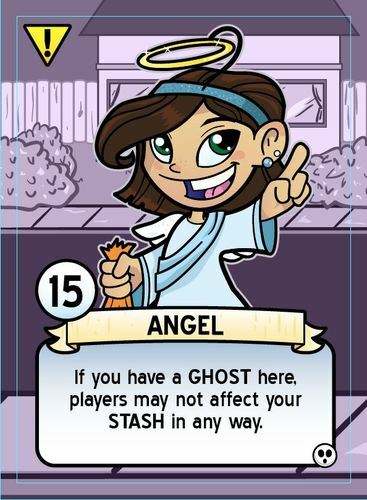 Pandemic and Gravwell are towards the top of my favorite game designs. Yet when I think of those games, I wouldn’t have wanted to design them, the names Matt Leacock and Corey Young belong on those boxes. 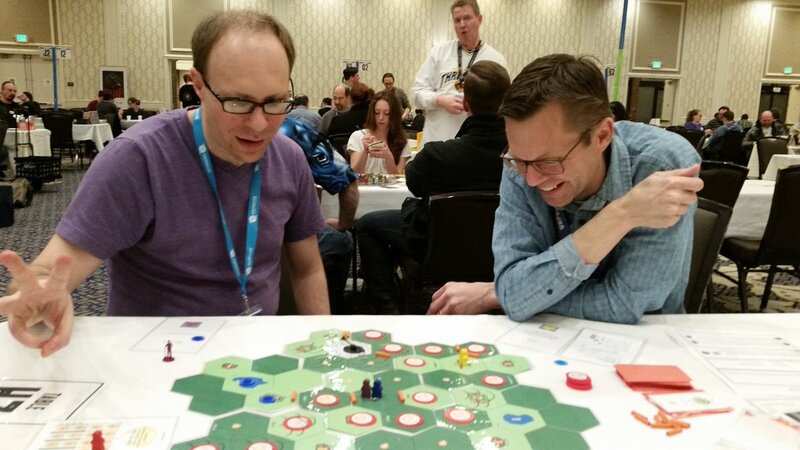 By the way, did I mention that Matt made time at Unpub8 to play and give feedback on Firebreak, and Corey made time at an Origins years ago to play and give feedback on a very early version of Planet Movers/Miner Rings? I am not sure if that was name dropping, hero worship, or some of both. But now that I’ve given a long rambling answer that doesn’t directly answer the question, let me go back and talk around the question a little more. My dream would not be to have been the designer of either Pandemic or Gravwell. Rather, my dream is that some day Firebreak or Miner Rings would be played on enough tables to be mentioned in the same sentence as Pandemic or Gravwell. Tom: Nice! I look forward to the day when I have Firebreak right next to Pandemic and can’t decide which one I want to play more. What is the biggest, most impactful lesson you have learned through all this? Charlie: Well there is the first and most obvious rule of game design – Don’t quit your day job. Assuming you still want to pay the mortgage, pay your offsprings’ tuition bills, and continue to feed your family. Seriously, my biggest lesson is persist. We are designing for a market that is overflowing with a ton of fun solid games. If your game belongs in that marketplace, persist until you find the publisher that says yes. I had publishers turn down Sweet Success, Lands of Oz, and Firebreak before I found the right publisher for each. I still haven’t found the publisher willing to say yes to Miner Rings – and the only way that I won’t is if I stop trying. Tom: Here’s a follow-up: Why do you thing the market is overflowing and do you think we are headed for a down-turn? Charlie: That’s two questions, I hope you will take two answers. First – why is the market overflowing? My opinion is the computer age has greatly contributed to the board game renaissance and the abundance of designers, designs, and publishers. Let’s go back even further then we need to – back to Lizzie Maggie (the original designer of the Landlord’s Game that later became Monopoly). I don’t care what you think of Monopoly as a game. Stop and think how would you go about designing a game without a computer and layman-accessible graphic design software, without a printer, and no internet for you to research publishers and email a pitch to a publisher you’ve never met in another city, state, or country? If I had born many years earlier, it wouldn’t have mattered how many great game ideas had popped into my head, because the barrier to entry would have been too high. Without the computer age, a non-artistic, non-crafty, person with poor penmanship like me would be challenged to simply make a playable prototype. Will there be a down-turn? My opinion is “no”, and the reason why also goes to another way in which the computer and information age enable the board game renaissance. If you go back in history, there were several industrial age booms (railroads, automobiles) where a new technological breakthrough attracted more new companies than the market could support. The most successful survived, while the losers were bought out or simply folded.. Yet I don’t think that will be the fate of designers or publishers in the current board game boom. Why? Because the information age makes the required effort so low that you and I can have day jobs that pay our bills, and still have enough time to design games on evenings and weekends. How many small publishers have day jobs that feed them and their families? How many self-publishers and small publishers would have enough start up capital to publish a game without Kickstarter? 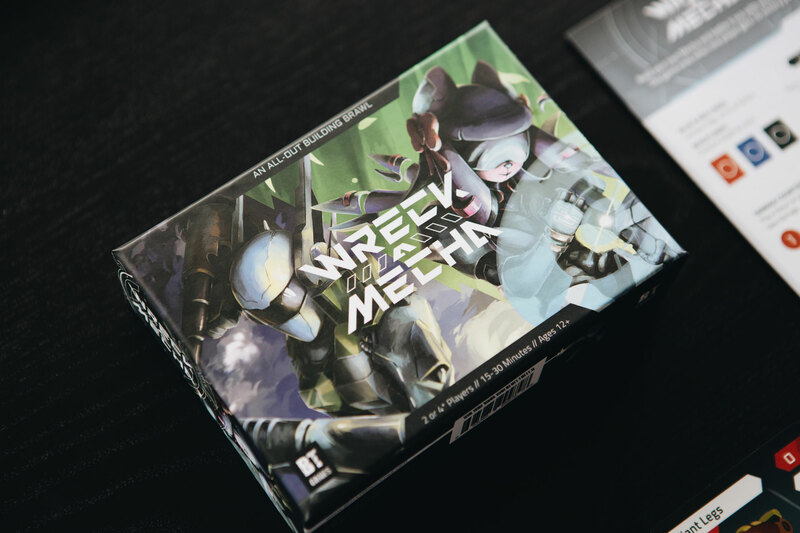 The point for both the publisher and designer side is that IF you rely on board games as your sole source of income, then you MUST achieve a certain level of business success. Else you are squeezed out and change careers to one where you can support yourself. But if you can have a regular job and can do the designing or publishing on the side, you can have a much lower level of business success yet afford to remain in the industry. Sorry, that was a long answer. Can I suggest a future interview for Go Forth and Game? Your question of “are we headed for a down turn?” Both members of Dr. Wictz (Aaron & Austin) have day jobs as professional economists. I think Paul Owen might be also. I would love to hear their thoughts on the question of a future board game down-turn! Tom: Those are excellent points. And I had not thought of any of those. You really make a solid ‘argument’ for the continued upward growth of the industry. Cool. The interview thing is a great idea. Thanks. Do you have a game design philosophy? Charlie: Play test early, play test often. Try to test every idea you have or changes that others suggest, because often the reality of how an idea plays out on the table can be quite different than the theory in your head of how you thought it would work . Tom: How do you know when a game just isn’t going to work in its current state? When do you put it on the shelf? Charlie: The point for me is if I find myself reverting back to old ideas I had already tested rather than coming up with new solutions to test. If I reach the point where I have no new solutions to test, I would rather take a break and work on another design and not waste thought and effort going in circles. The only design where I have ever had to set it on the shelf for a long time is my unsigned Planet Movers/Miner Rings design. When Richard Launius was the VIP at one of the Unpubs, he talked about putting designs on the shelf and coming back to them later. Until then, I was not familiar with the idea. I tried it with Planet Movers, and several months later, it worked (and thus the evolution to Miner Rings). Tom: How do you maintain the excitement? Charlie: Although I can be both patient and persistent, my excitement ultimately will fizzle out. What keeps me going is seeing playtesters enjoy one of my prototypes. When others enjoy a game I design, that is what keeps me going to make it as great as it can possibly be. And to persist until I find a publisher who agrees. Tom: That goes back to playtest often. Something that I do not do enough. I find my enthusiasm for a game fizzles as I’m sure all of us designers do. I’ll either switch to a new design or take a break for a week. Ideas percolate and when I come back usually something has dislodged. I can see how playtesting would jumpstart that. I really need to do that on a more regular basis. What’s in the queue and new? Charlie: Very little. I am still trying to find publishers for my space-themed Miner Rings and food-themed Chef’s Choice. But very little that is new. I had started a tile layer called Doggerland where you can lay both horizontally or vertically (i.e. on top of other tiles). Doggerland was the land bridge that connected the British Islands to mainland Europe 10,000 years ago, as Earth was coming out of the last ice age. As the ice age glaciers melted, sea levels rose, and Doggerland now lies under the North Sea. In my prototype, the sea is rising faster than the tiles are laid, so the playing area keeps shrinking smaller and smaller. 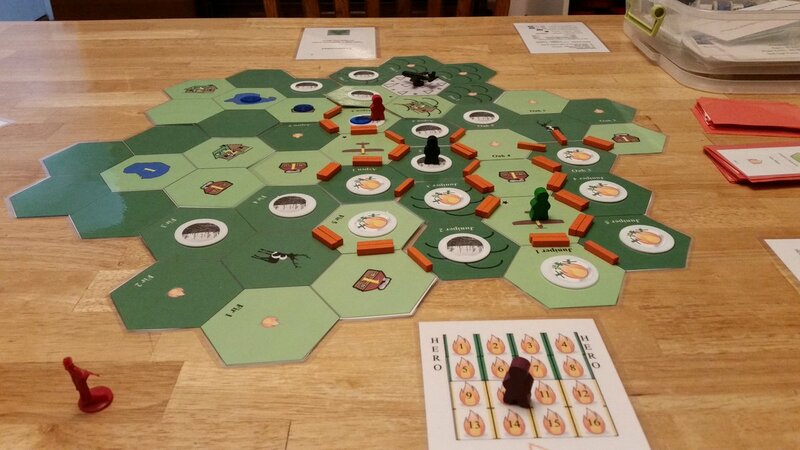 I thought I’d be further along with Doggerland by this point, but it turns out instead my development time this summer has been going to making and testing some Firebreak modifications that the publisher wants. Not a bad problem to have. Tom: Pitch Tag: Pitch a game about Space and food. Charlie: That’s easy! Here’s my two games. Miner Rings is a pick-up-and deliver space game that is the evolution of a Cardboard Edison finalist that features movable destinations, circular motion, and shared dice rolls. Chef’s Choice is a non-party game that plays up to 8 in 30 minutes or less where you hand out food samples to increase customer demand for the dishes on your mealtime menu. No one player can single-handedly dominate the outcome, so this game is really about watching what samples your competitors hand out and matching your menu to what your competitors are doing. Oh wait, you said game. Singular not plural. Let me try again. How’s this? Protoplanets is a game set in an early solar system where you are trying to eat up the most hydrogen, water, iron, and silicates from the gas/dust disk surrounding a newly-ignited star. Eat the most to build the largest planet and you win. Now that I’ve pitched it, are you expecting me to make it? Tom: This is a really great story of your journey. THANK YOU for taking time and thought on this. It means a lot to me. Charlie: Thank you. My pleasure. Readers, I hope you enjoyed this very informative and fun interview. I want to thank Charlie again for opening up about his game design work and the struggles and successes he has had. I would love to hear from you. Please tweet me @tomgurg or @goforthandgame. Email at goforthandgame@gmail.com. In the fun episode of Go Forth And Game I talk to AJ Porfirio of Van Ryder Games. It’s been a good while since we spoke last to there is a lot to catch up on. Like Hostage Negotiator, The Big Score, and Detective:City of Angels. But the focus of the show is on VRG’s newest – Graphic Novel Adventures. 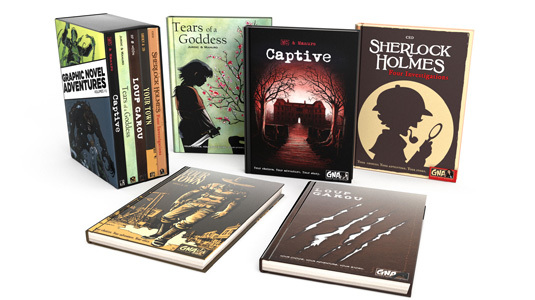 These are Choose Your Own Adventure type solo games in a graphic novel format and they are fantastic! This is a good show. I know you will like it. Comments are always welcome. Leave them at below or on Twitter – @tomgurg or goforthandgame@gmail.com. Or record an audio file and send it to the above email address. We’ll use it in a future show. Ok, I’m opening up a big ole can of worms with this one. Should a reviewer play a game more than once to do a review? Is a one play review really just an impression or is it adequate for a good review? What about previews? Every Kickstarter has to have at least three or four to be taken seriously. So are they legit ‘reviews’ since the game and components could change in production? 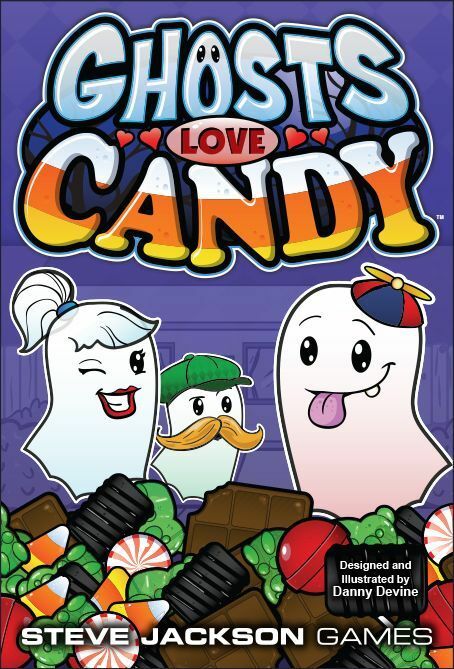 Games like Candyland or most Haba games (and there are scads I don’t know I’m sure) probably don’t need more than one play before I have enough info to do a review. But most of the games the majority of us play are quite a bit more complex than these games. To me a single play of the types of games we play the most is just an impression. I get an idea of the game but I don’t fully understand it yet. For most games, a single play just doesn’t give me enough of a feel for the game. I’m kind of slow. I need several plays to understand a game. I don’t do reviews often. I need to play a game a couple of times to feel like I have a handle on it enough to be able to review it. That one reason I don’t do a ton of reviews. It takes me some time to do what I feel is a proper job. For the most part when I agree to do a review, I play a minimum of three times so that I am comfortable giving an honest review. And if I have some negative things to say, I will pass it by the designer/publisher first to let them know so they are not surprised. If I don’t like a game that I review, I will let the designer/publisher know this and most likely will not post it. That said I do give the full story, with the things that just weren’t for me and the things that I enjoyed. Here’s a real good question that’s floating out there in the gaming community – what about paid reviews? Can they be trusted? I don’t know how I feel about this one. Part of me says “Sure, as long as it’s an honest review.”. And I would hope that they are. Part of me wonders at the pressure there must be to give a game a good review if you are getting paid. I just don’t really know where I stand on this one. I’d very much like to hear from some of you who do reviews for dollars. Tell us your ideas. And what makes up a good review anyway? We will address that one on an upcoming podcast! So stay tuned. There are a lot of different opinions on this one, folks. Tweet with #goforthandgame or @tomgurg. Record a 2 minute reply. Email me at goforthandgame@gmail.com. So let’s hear your voice! We will use it on a future podcast!! In this, part 1 of a two part interview, I’m talking with Iron Design Challenge winner AND just announced HABA contest winner Julio Nazario. Julio and I talk about how he got into gaming and game design. We also discuss the Asheville chapter of the Game Designers of North Carolina. Julio is a very humble guy and a brilliant game designer. As you will see. It is a fun show and I know you will enjoy it. I’ve been listening to Monster Kid Radio a lot lately. My old friend, Micah S. Harris, pointed me to it last month and I can’t get enough. If you didn’t know, I’m a huge classic monsters fan. I can remember ordering monster movie books from Scholastic in school (who remembers that?). I remember watching what was probably Creature Feature on Friday night. First a chapter of Flash Gordon then a monster movie. It was great. Later the movies moved to Saturday afternoons. Give me the classics and B-movies! In college I met Micah and discovered a whole bunch more – Plan 9, all the Santo movies, Superargo, even more B’s. We would talk about monster movies all the time. The VCR was your friend if you were a monster kid. So Monster Kid Radio is a podcast that focuses on these movies. I’ve been listening every day now for a month. Recently MKR asked listeners to send in their 20 favorite monster movies made in or before 1967. 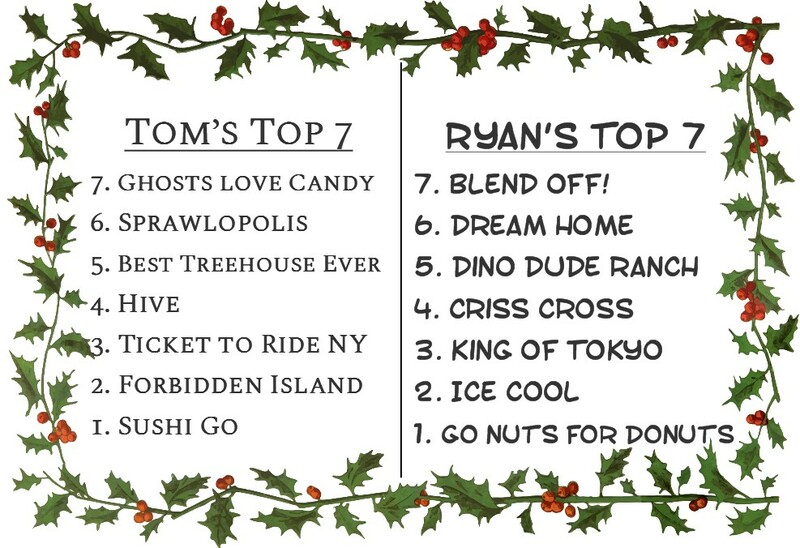 The latest show goes over this list. I missed sending mine in so I thought I would post it here. P.S. So when I started writing this article, War of the Gargantuas has just begun on Comet TV. It has just gone off. Guess what is coming on – Jason And The Argonauts! It’s a good day. This episode is with Kids Table Board Games president, Helaina Cappel. This is a super fun interview. 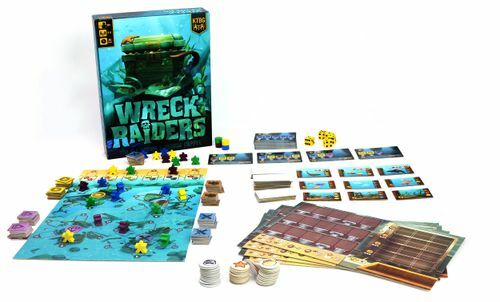 Helaina and I talk about her vision for KTBG, what’s happening in the industry, and about their game, Wreck Raiders, which is on Kickstarter. Dive right in! This time I’m talking with Dan Letzring of Letiman Games about his most recently funded game, The Neverland Rescue. Dan discusses choices made before and during the campaign, lessons learned, and post-campaign production. We also have a tease about two new projects Dan is involved in. Dan is always a great guest and it’s a fun interview. I know you will enjoy it. Leave a comment below or tweet me – @tomgurg. I want to remind everyone that Go Forth And Game is the official podcast of The Inquisitive Meeple. iMeeple is run by Ryan Sanders. We are partnering to bring you more quality game related content. Here’s some information about The Inquisitive Meeple. What is The Inquisitive Meeple? The Inquisitive Meeple has performed 250+ interviews since its 2014 inception. It originally started with the mission to get the story behind specific tabletop games via in-depth interviews. It has since expanded its mission over the years to include design advice, publisher, and artist interviews and articles. Along with the occasional preview/review thrown in. A geeklist of links for all the interviews can be found, by clicking here. Who is The Inquisitive Meeple? Born with cardboard in his veins and raised by wild meeples…. no… that’s not right…let’s start again. The Inquisitive Meeple is Ryan Sanders, a stay-at-home dad, father of 5 (what!?) and blessed to have a wife that loves playing board games as much as he does (and no she isn’t writing this). Those that have been interviewed by Ryan know that the “inquisitive” part, of his nom de plume, is very appropo. Though contrary to just about everyone’s belief (due to his logo, Meeps), he doesn’t wear hats. Rumor has it, that he originally wanted to call the blog, The Great North American Meeple. Ryan got into hobby gaming back in December 2004 when he received Lost Cities and Bohnanza for Christmas presents and he’s never been the same since. Also I’m a proud member of The Indie Game Report Network. We are a collection of podcasts, videocasts, and blogs the bring you the latest in gaming goodness. The Indie Game Report started in 2016, as a spin-off of The Inquisitive Meeple, when the old site went dormant. Fairway, who at the time was on staff at The Inquisitive Meeple, started TIGR. I soon followed and posted articles there as well (many of these articles can be found on this site now). 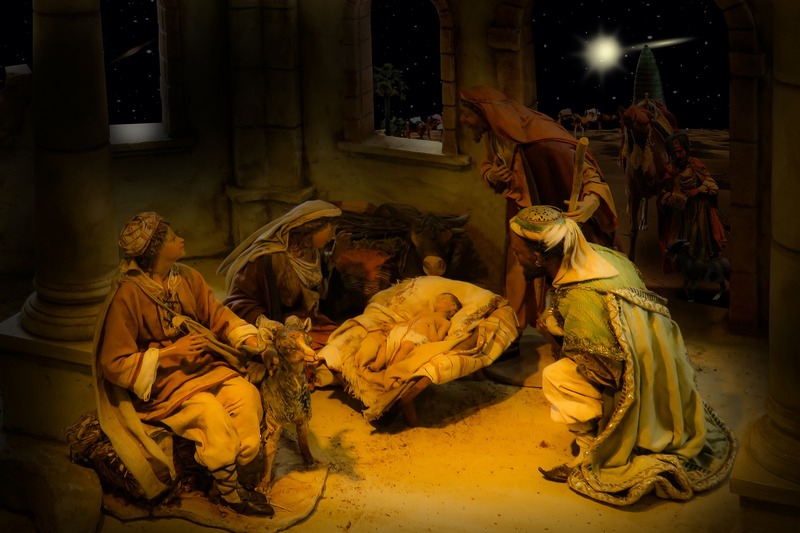 The Inquisitive Meeple will continue to cross-post many of the articles with TIGR and is currently considered to be part of The Indie Game Report Network. Scott Almes is my guest this time. We focus on Scott’s latest game, The Neverland Rescue. It’s a new game from Letiman Games. As always Scott is a lot of fun. And check out the Kickstarter for The Neverland Rescue. It’s a cool game. I hope you enjoy. Steven Aramini joins me on this episode. We talk about his new game, Tricky Tides coming from Gold Seal Games. Steven has some interesting game design ideas and it was interesting talking to him. He also has another game hitting soon – Sprawlopolis coming from Button Shy Games. Daniel and I talk about his latest games – Junk Orbit and Wonderland from Renegade Games. We also talk about his design philosophy, past games, and what he currently has in the lab. I hope you enjoy the show and as always you can contact me via Twitter – @tomgurg. I’d really like to hear from you. 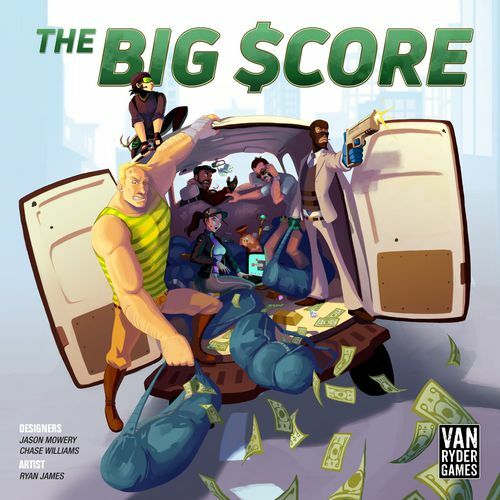 This show I’m talking to Chase Williams and Jason Mowery about their new game, The Big Score. It’s a heist game with a cool twist in that it has two acts. And there’s swiping things from an actual bank. The Big Score is currently on Kickstarter coming from Van Ryder Games.